Back in April, Ms. Lauryn Hill put on the Diaspora Calling! Festival at the King's Theatre in Brooklyn, NY. ‘David Bowie Nothing Has Changed’, featuring iOTA, Tim Rogers, Steve Kilbey, Deborah Conway & Adalita and backed by the Melbourne Symphony Orchestra, will be performed at Hamer Hall for two nights of the Melbourne Festival in October. Former Drones member Mike Noga will release his third solo album ‘King’ soon and it is a concept album. Lisa Mitchell has completed her third album ‘Warriors’ and has set a release date for October. Sticky Fingers will mark the release their next album ‘Westaway’ with a whip around Australia to sing it up in October. SXSW 2017 is open for business. Morrissey is definitely touring Australia in October but he won’t be playing Sydney. Emmylou Harris, Patty Griffin and Buddy Miller have announced that they have set eleven dates in October for a tour to benefit the Jesuit Refugee Center/USA. Michael Franti & Spearhead will return to Australia in September. 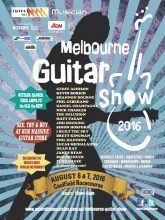 The two-day program for the Melbourne Guitar Show is now online. Tickets for the Out On The Weekend festival are now on sale with the premium Cripple Creek Ferry package once again available for 2016. 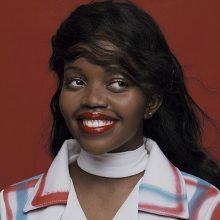 Similar to last weeks chart, we have new No.1's debuting on both the singles and albums chart this week, one a collaboration between an American group with both a Canadian and Danish guest vocalist, and then an Australian 90's boy-band claim the top of the Albums chart. 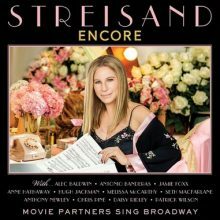 When Barbra Streisand started to work on her ‘Encore: Movie Partners Sing Broadway’ she said the first person she thought of singing with was Australia’s Hugh Jackman. Peter Garrett kicked off his first solo tour in Perth last weekend this week took the show to Brisbane. Julio Iglesias will return to Australia in November. 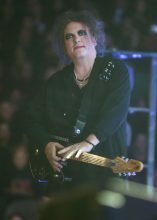 The Cure give more in an encore than most bands play in a complete set. Imagine a four part 16-song encore that isn’t even half the show. Henry Wagons has joined the Hunter Valley’s Dashville Festival to be headlined by Brian Cadd in October. 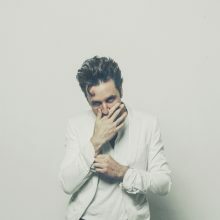 Tim Freedman will perform national dates with The Whitlams starting August in Newcastle. 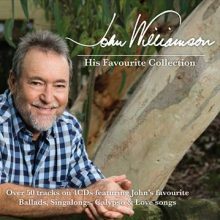 Australian country legend John Williamson will release a 50 track 4CD collection ‘His Favourite Collection’ in August. 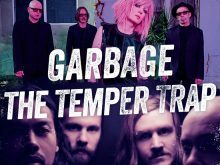 Garbage will return to Australia in November for A Day On The Green dates with The Temper Trap. Bernard Fanning will tour Australia in October. UFO is playing a very busy schedule with runs of four and five nights in a row without a break. 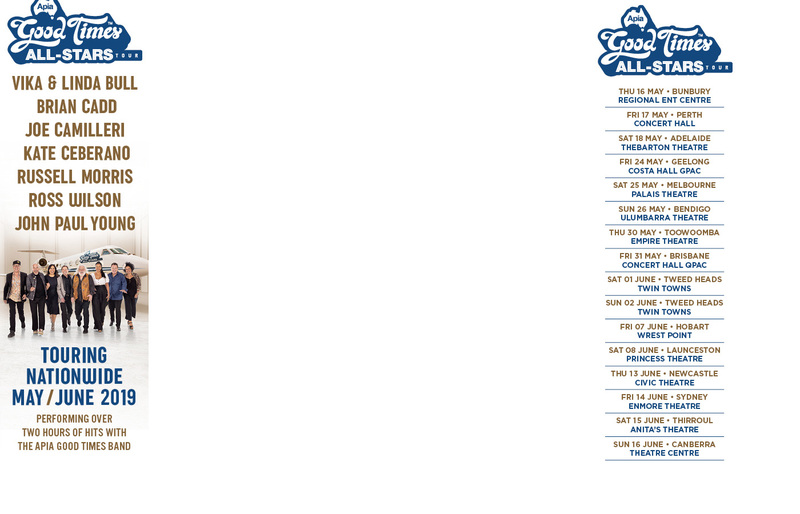 Morrissey is touring Australia in October apparently, according to the Morrissey-Solo.com site. The Rolling Stones have added a one-off show for Las Vegas after the Desert Trip in Indio in October to raise urgently needed funds for Mick Jagger's growing family. 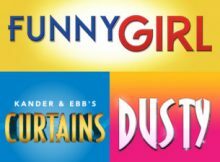 The Production Company will deliver its 50th show this season and Saturday night saw a spectacular launch of the 2016 season with ‘Funny Girl’. More on that in a moment.